This past month has been a bear. Having a full time job, a family, and being in grad school is no joke! I will be on hiatus for a few months. 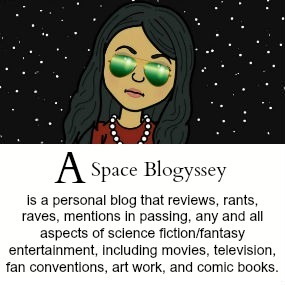 I will still be popping in to see my favorite blogs and make an occasional post, but I won't be able to post regularly for a while. If only I could be a blogger full time right? I really don't know how people are able to do that unless thy are independently wealthy. I finally finished up my last paper for the semester, but will be starting a new semester in a few weeks. Ugh. I am so behind on my film reviews. So much so I will have to create a combo post. 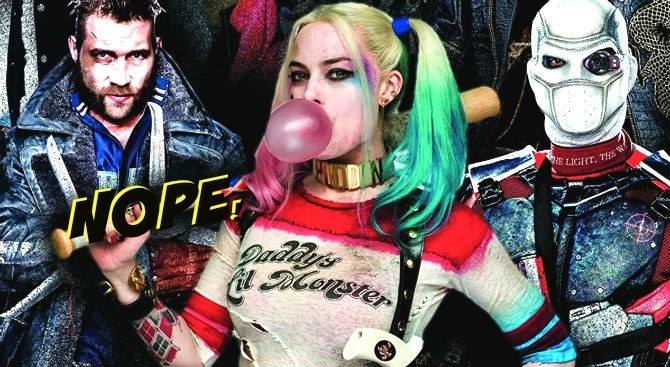 After the reviews for 'Suicide Squad' I just couldn't bring myself to see it. I never advocate for anyone to lose their jobs, but someone seriously needs to be fired from Warner Brothers and DC Comics. The level of incompetence is beyond comprehensible. My first vote would be for Zack Synder to go as a producer for DC films. He just needs to go. I still can't believe that the man who thought up and made 'Sucker Punch' is in charge of DC's multi-million dollar empire. There are many other incompetent execs over at the WB that need to go, but getting rid of Synder would be a good first step. Director David Ayers should probably go too. Any director that managed to misuse such great actors shouldn't direct comic book films anymore. Admittedly I had very low expectations. If you've read my blog you will know I am all for girl power, but I am so tired of Hollywood remakes. I originally found the recent gender-bending trend is a little irritating. Why can't female characters have their own unique stories? That said, the new 'Ghostbusters' was so much fun to watch. 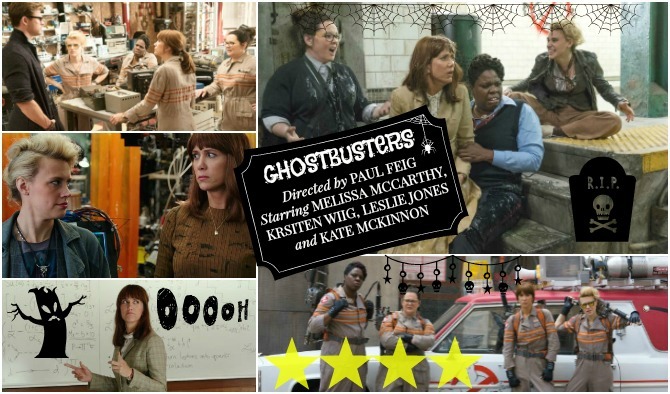 The actors were so authentic, the script was good, and the Paul Feig and Melissa McCarthy always bring out the best in each other. 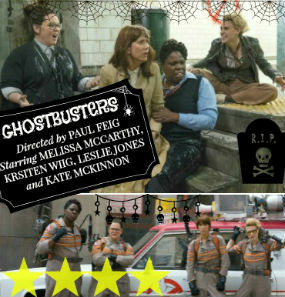 What I loved most about 'Ghostbusters' was that it was a true reimagining of the film--not a remake. 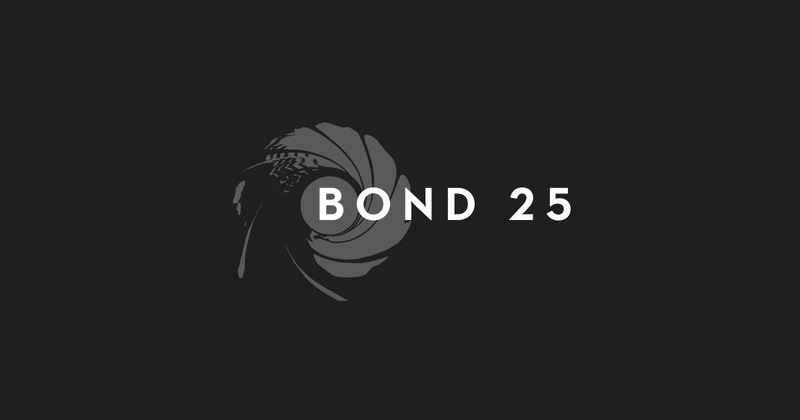 The film has new characters with new backstories. Abby Yates (Kristen Wigg) is a soon to be tenured professor and former paranormal researcher. In her youth she coauthored a paranormal book with her old partner in crime Erin Gilbert (Melissa McCarthy). When a historical museum discovers a ghostly presence they reunite to investigate, along with techie Millennial, Dr. Jillian Holtzman (Kate McKinnon). Perhaps the most ironic part of the film is when a realtor takes them to view an old abandoned fire station as their new headquarters...only to discover the rent is $20,000 per month! This forces the ladies to rent out the space above a Chinese restaurant. Oh and they hire a hunky, but dumb receptionist, Kevin Beckman (Chris Hemsworth). Hemsworth was hilarious and should consider doing comedy more often. MTA worker Patty Tolan (Leslie Jones) later joins the ragtag crew after seeing some creepiness going down in the subway. Jones does a good job of playing the non-scientist role and connecting with the audience. And there are truly some fantastic (albeit brief) cameos by the original actors Bill Murrary, Dan Aykroyd, Ernie Hudson, Annie Potts, and Sigourney Weaver. I laughed heartily throughout the film until the end. The only disappointing aspect for me was lack of the Zuul and Gozer storyline between Louis Tully/keymaster (Rick Moranis) and Dana Barrett/gatekeepeer (Sigourney Weaver). Overall, the reboot was a completely new film that was a sweet homage to the original. 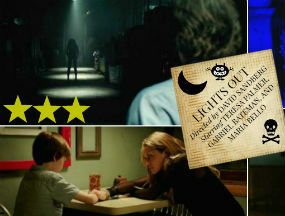 'Lights Out' is creeptastic film with some genuine thrills, but ultimately the movie fell a little flat for me. The storyline was overtly simple and the characters seemed a little dumb at times. The best scene in the film comes early on when a warehouse worker, Emma (Lotta Losen), sees a female silhouette in the darkness that doesn't appear when the light is on. Emma has the right idea and gets out of dodge. Everyone else doesn't seem to have as much sense as "one-scene" Emma. 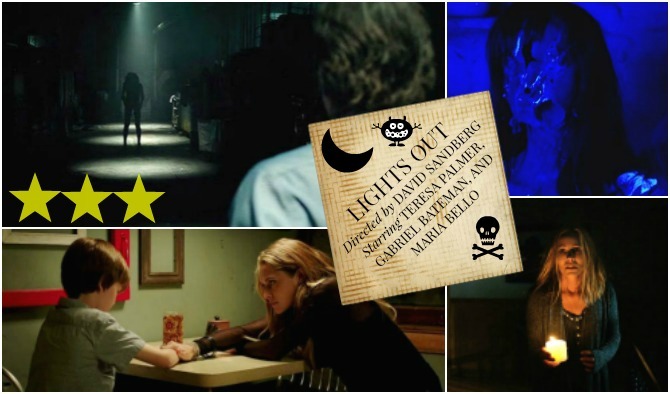 The film has a few bright spots when manic mommy Maria Bello appears on the screen, but other than a few frightening gotcha moments the film didn't add anything to the genre. Admittedly, I was a little creeped out when I went to bed that night in the dark. So I supposed the film did its job. I had such high hopes for 'Bad Moms.' The trailers were hilarious and the film was fairly funny, but the best scenes are already in the trailers. If you've seen the trailers then you've seen this film. Amy Mitchell (Mila Kunis) is an overwhelmed wife, mother, and career woman. It's an old concept, but our culture of "mom-shaming" makes this film relevant. As a working mom I can tell you that "mom-shaming" is alive and well. Trapped in a sexless marriage, Amy catches her husband in a relationship with a webcam woman. After little deliberation she decides to divorce him. The most irritating aspect of Amy is her lack of reference. She's a privileged woman living in a nice suburban house, she's 32 years old, drop dead gorgeous, with a good looking husband (who has a good job), two lovely pre-teen children, and the ability to work a part-time job. Yeah-- she has it rough. Yikes, I hope I'm not shaming. She's a fictional character after all! Anywhoo, Amy goes on a path of self-discovery. She starts driving a fast car, tells her boss to shove it, goes to the movies during the day, drinks like a fish, and drops out of the PTA meetings run by uber perfect mom/PTA president Gwendolyn (Christina Applegate). Applegate's comedic timing and delivery are perfect. Applegate and comedian Kathryn Hahn steal every scene they're in. As much as I like Kunis-- she was just along for the ride. To be fair Kunis truly committed to the role and gave it her all. Like every other Netflixer I've been watching 'Stranger Things.' 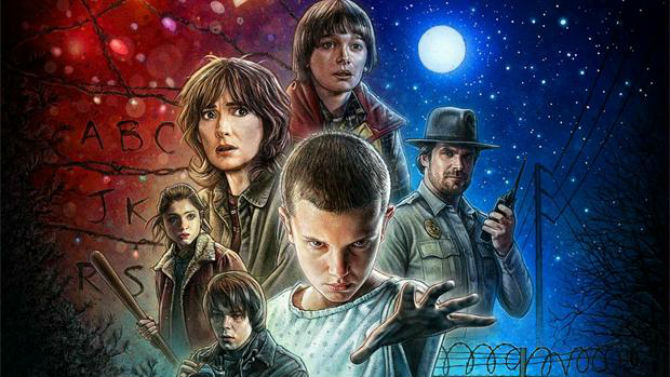 As a young child of the 1980s, I can verify that 'Stranger Things' effectively captures the nostalgia of the time. I still can't figure out why there's anything to be nostalgic about the 80s. The 90s was so much more fun...at least for me. But brothers Matt and Ross Duffer do 1980's Stephen King better than Stephen King. Stephen King hasn't written anything of note in the last 20 years, but he's certainly inspired these two guys. I am super impressed that the Duffer's who were born in the mid-80s (and probably don't remember the 80s) nailed the look and the feel of the time. I did like Suicide Squad. But I am hoping they don't mess up Justice League. I'll see the new Ghostbusters on NetFlix. I've heard it's original and funny, but I'm also tired of remakes and gender switching. Stranger Things just knocked my socks off. I watched it in five days. Take some time the next couple weeks to relax and recharge before the next semester begins. I totally understand recharging! I feel like I'm in desperate need to do that during the new few weeks. I too wish there were fewer remakes. Ghostbusters was so wonderful. I think you will enjoy it, but the gender bending remakes can be a little irritating--first b/c they are remakes; second--why can't Hollywood make original material for women? Oh the original Ghostbusters is still in tact. I don't think some films can be remade successfully. Thankfully this film was more of a reimagining rather than a remake. Do what you've got to do! Isn't life rude when it interferes with our blogging? I'm looking forward to starting Stranger Things, I've heard so many good things. I wanted to see Lights Out but my theater already got rid of it. I love Teresa Palmer. Teresa Palmer did a good job delivering her lines. Had I been thinking clearer (and not been in a homework coma) I would have mentioned Palmer. She was really good. I think you will enjoy Stranger Things. Great reviews! I can't wait to start Stranger Things 'cause Winona Ryder is one of my goddesses. lol Happy to see that you somewhat enjoyed Bad Moms, especially since that was a movie you were looking forward to. Katharyn Hahn is so underrated. 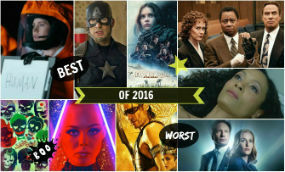 And, my expectations for Ghostbusters was low too but I ended up LOVING it. The villain could've been stronger but it was pretty good otherwise. It was a good remake but could also stand on its own. Isn't she just so lovely? I adore Winona Ryder. I was very young when Heathers came out (probably way too young to be watching that movie), but I just adored Winona. She was the cool older girl I've always admired. Thank you! I hope I get some R&R these next few weeks. If I see more films I may be inspired to review it. I'm in the process of reading several books this summer. I couldn't agree with you more that Zack Synder needs to let go of the reins for the DCEU. Hopefully they can relaunch the brand with Wonder Woman and Justice League. I've heard rumors that after BvS Warner Bros pretty much took control over the production and put Geoff Johns in charge. 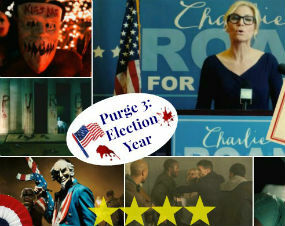 Sucker Punch is his most glaring misstep, but Watchmen is a close second. Yay to hiatus'! I am so tired! I heard Affleck is going to be doing some producing of DCEU films. I hope they get some new blood in there. 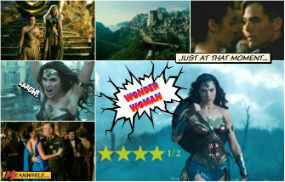 I'm very afraid for the Wonder Woman movie! Nothing can compare to the original Ghostbusters. But the remake was so much.